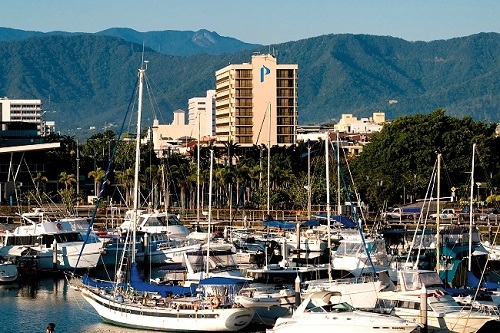 Live-Aboard Dive Expedition includes: Transfers to/ from Cairns city accommodation. 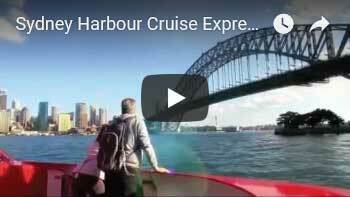 Opportunity for 24 to 26 dives, cabin with private bathroom and daily service, Chef prepared meals, Australian wines & soft drinks with evening meal. Visit the Cod Hole, Ribbon Reefs & Coral Sea. The dive vessel departs Cairns 12:00 noon Monday and returns 07:30 am the following Monday. Starting Price is based on Quad Cabin. 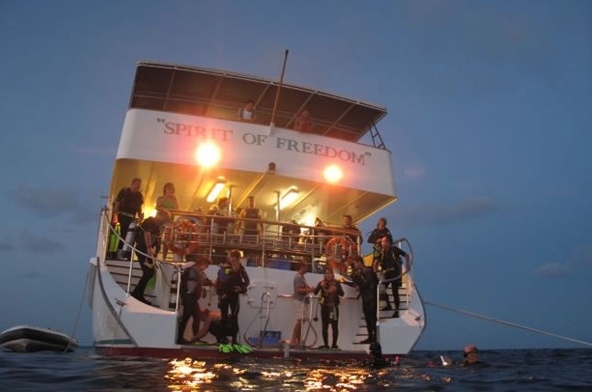 Sign-up for an amazing dive expedition exploring the Great Barrier Reef and Coral Sea aboard the luxury live-aboard dive vessel ‘Spirit of Freedom’. 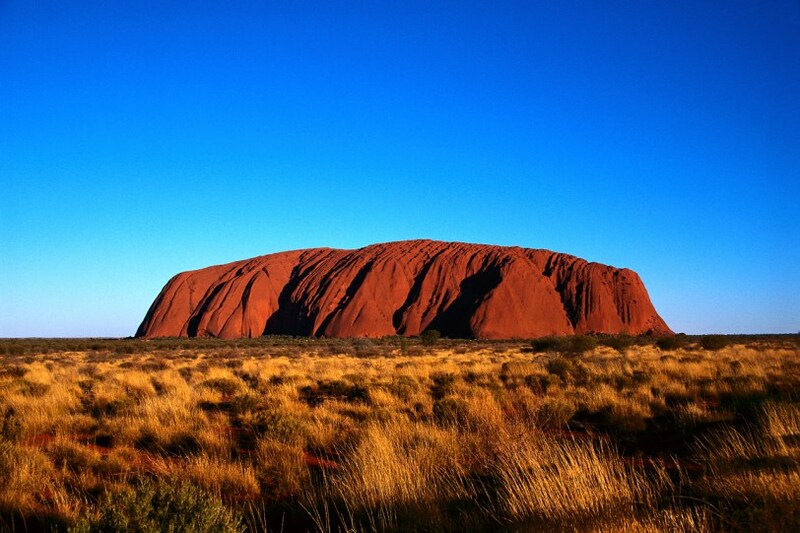 Then experience the Australian outback and learn about Australia’s indigenous culture. 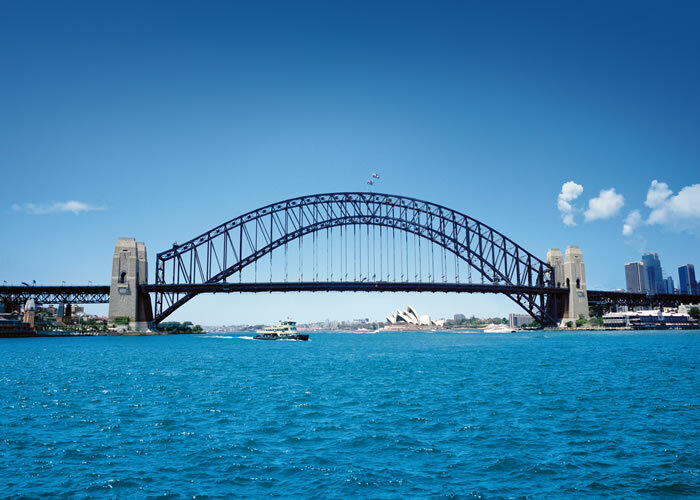 Then switch gears and travel on to Sydney and explore this modern & diverse city. This vacation package has it all. 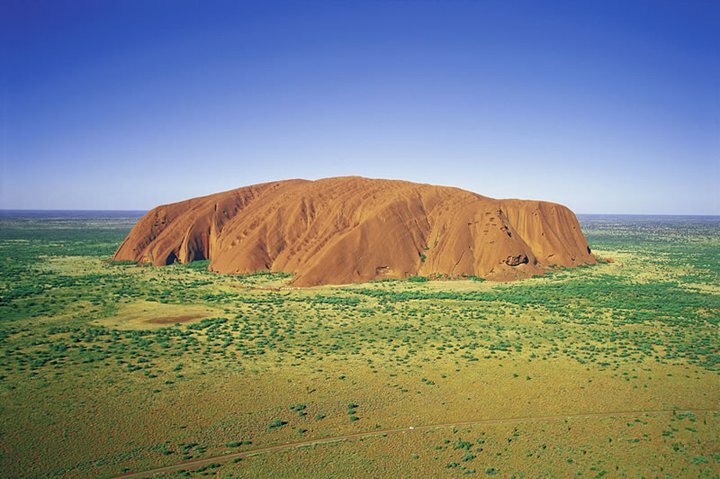 Packages by About Australia, a fully bonded and ARC Accredited travel company. Travel by domestic air to your destination. If you request US domestic air pricing, this inclusion will be reflected in your quote. Travel by international air to your destination. International air to your destination is not included in the starting price. If you requested international air, this inclusion will be reflected in your quote. For Live-Aboard diving enthusiasts this live aboard dive trip represents the ultimate dive vacation. Dives include Osprey Reef, on the Coral Sea with other sites such as Cod Hole, Dynamite Pass, North Horn, Bougainville Reef, Steve’s Bommie, Temple of Doom and Flare Point. With Gourmet Meals and the Outstanding Level of Service you will feel like you are aboard your own private yacht. 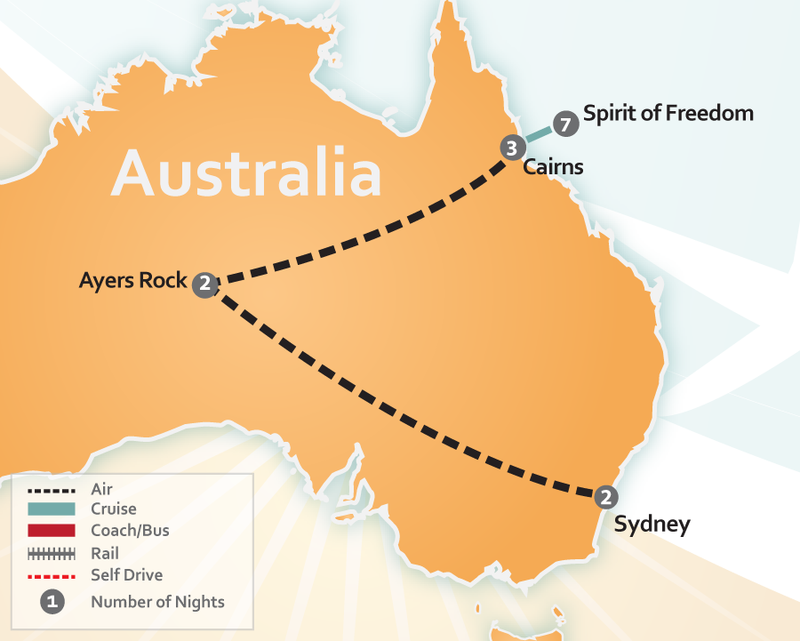 Day 1: Board Spirit of Freedom at 11:15am at Trinity Wharf (complimentary transfers from Cairns city hotels are available) for a 12 noon departure. Lunch will be served on board while we cruise to the Great Barrier Reef for an afternoon orientation dive and a twilight or night dive. Days 2 & 3: These two days are spent diving at the most northern of the Ribbon Reefs, Number 9 & 10 Ribbon Reefs, 120 miles to the north of Cairns. 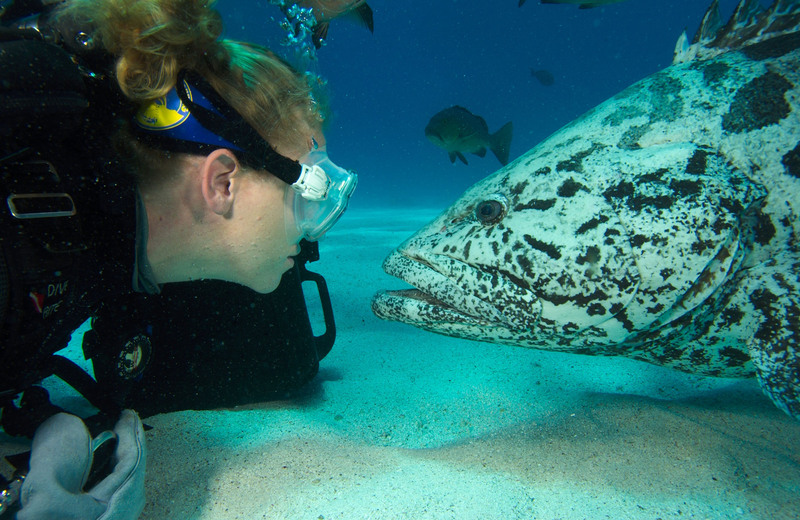 You will dive at the Cod Hole, where you encounter a family of massive and very friendly Potato Cod. Other sites may include Wonder-wall, Pixie Pinnacle, Challenger Bay, Two Towers, Lighthouse Bommie, and the Snake Pit, just to name a few. 4 to 5 dives will be available each day, including a night dive on Day 2. 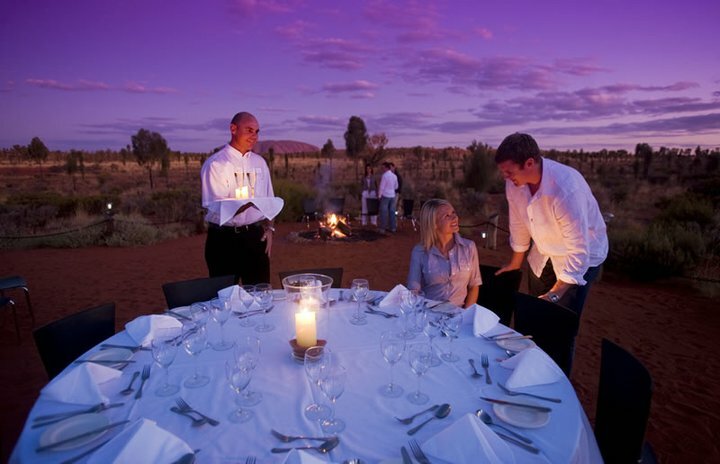 On Day 3 you will overnight at beautiful Watson’s Bay, Lizard Island, and enjoy a sunset BBQ dinner on the top deck. 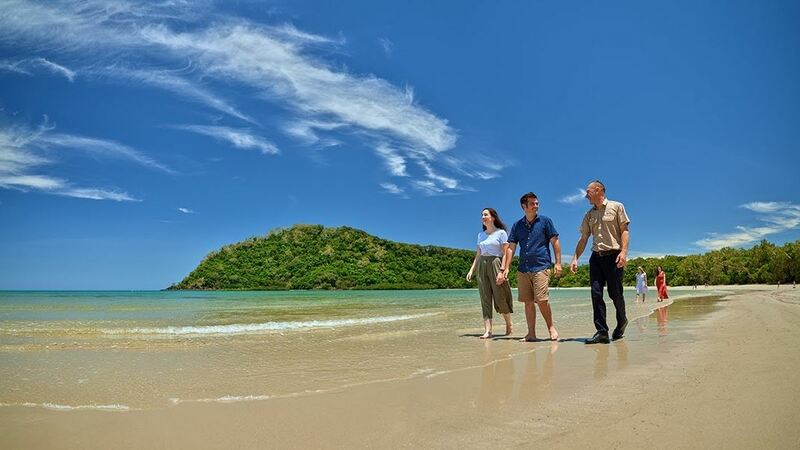 Day 4: This morning some of our guests will depart at Lizard Island and some new guests will join us. There will be time for a morning walk on the island. This afternoon we will have the opportunity for two dives at a choice of sites such as the Cod Hole, Pixie Pinnacle and Challenger Bay before departing in the evening for the Coral Sea. Days 5&6: Osprey Reef. 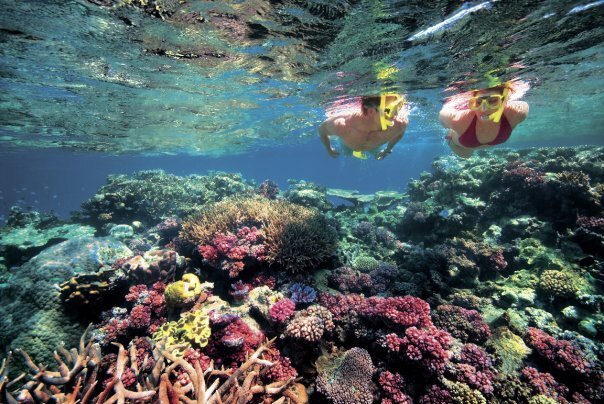 Australia’s Coral Sea reefs are renowned for crystal clear water with average visibility in excess of 100 feet. Two days can be spent diving at Osprey Reef, including North Horn, well known for its shark action. You can expect to see grey whalers, silvertips, reef sharks, occasional hammerheads, schooling barracuda, trevally, and other pelagics. The landscape is amazing with sheer walls laced with gorgonians, sea whips, and bright yellow soft corals, rising from thousands of feet below. Day 7: After overnight travel back to the Great Barrier Reef we arrive at Ribbon Reefs Number 3 where we will dive such sites as the sensational Steve’s Bommie, Temple of Doom, and Flare Point. A second option for this day, in special weather conditions, is to head south from Opsrey to Bougainville Reef, known for its unusual underwater landscape or caverns, and its partially submerged wreck. On Sunday evening we will cruise overnight back to Cairns. Day 8: Arrive Cairns approximately 06:30am. Breakfast will be served on board and hotel transfer will be arranged for approx 07:30am. Please note that above itinerary is a sample only and sites may vary or the sequence may change. Access to the Cod Hole and the Coral Sea is weather conditional and while every attempt will be made to keep to the advertised itinerary, the Coral Sea and specific sites on the Great Barrier Reef are not guaranteed. Cabin types available: Quad, Double/Twin, Ocean View Standard, Ocean View Deluxe & Stateroom. 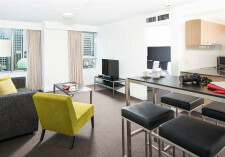 Travel to your accommodation Cairns, Australia, where you will be staying whilst on vacation for 2 nights. Discover a fun and exciting way to discover the pristine rainforest, with a half day of rafting on the Barron River! 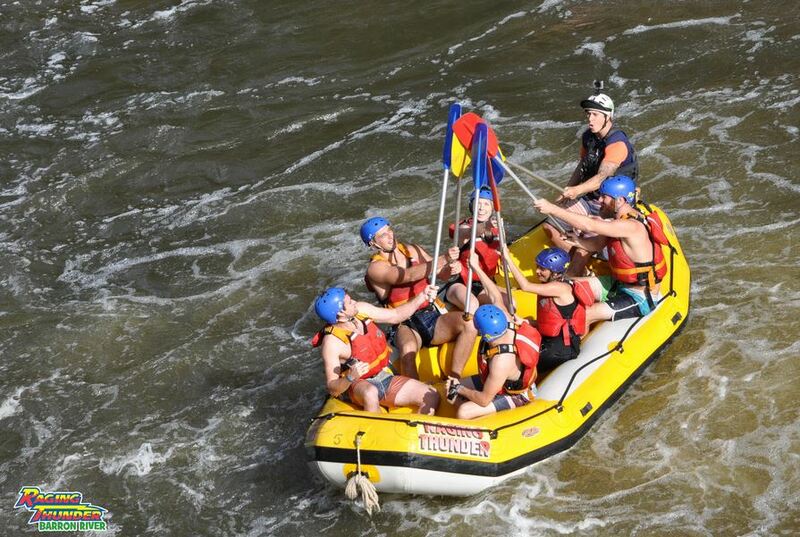 Located just 20 minutes outside of Cairns, the half day raft is perfectly suited for the first time adventurer! 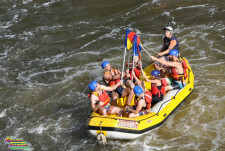 No previous experience is necessary to raft these exhilarating grade 1 to 3 rapids through the majestic scenery of Barron Gorge National Park. You don’t even need to know how to swim as you will be fitted with a helmet and lifejacket and have your experienced river guide at your side. 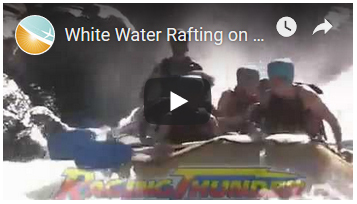 Here you can feel the rush of rafting within the awesome wilderness of Australia’s tropical rainforests with operations all year round, tropical water temperatures and breath-taking scenery and rapids. 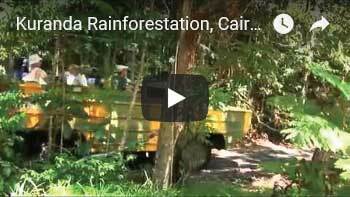 So take a ride through our planet’s oldest continuously growing tropical rainforests on rivers that still run totally wild. Take home the memories and be sure to smile as professional photographers take your pictures which are available for purchase at the end of the day! Last stop is at the cafe where you can take a break and have some drinks before returning to your accommodation. 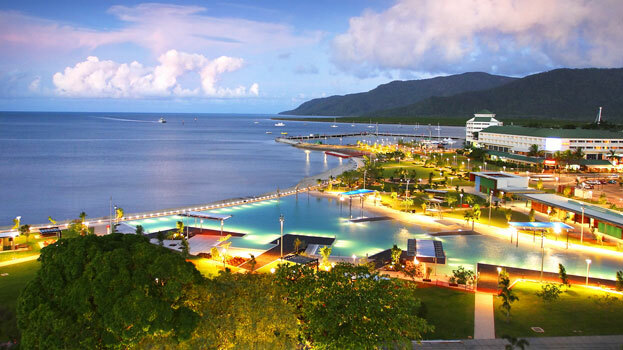 Travel along a scenic coastal drive to Port Douglas to experience the wildlife, rainforest, rivers and beaches of the region. Travel in air-conditioned comfort today in a luxury purpose-built vehicle on this eco-accredited tour led by experienced and knowledgeable guides. 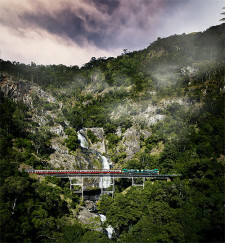 Visit Mossman Gorge Centre and enjoy morning tea before boarding the shuttle for your transfer into Mossman Gorge. Discover secrets of the world’s oldest tropical rainforest as your driver takes you on a guided walk through the Gorge boardwalk, sharing their knowledge and the history of this World Heritage listed region. Next you’ll hop aboard the Daintree River Cruise and reach an understanding of the intricate Daintree eco-system. Keep an eye out for wildlife including the elusive Saltwater Crocodile. Enjoy a delicious BBQ lunch in the rainforest of Noah Valley – this area is renowned for the existence of primitive flowering plants including the Idiospermum which links back to the most ancient lineages of plants found in the world today. Up next is Cape Tribulation where the rainforest meets the reef. Walk on this world-renowned rainforest beach named by Captain James Cook on his voyage of discovery in 1770; admire the coastline and fringing Coral Reef from the Kulki Lookout. Stop for an afternoon refreshment included at the Daintree Ice Cream Company. Enjoy a delicious exotic fruit ice cream cup featuring four flavours (gluten free and dairy free options available). 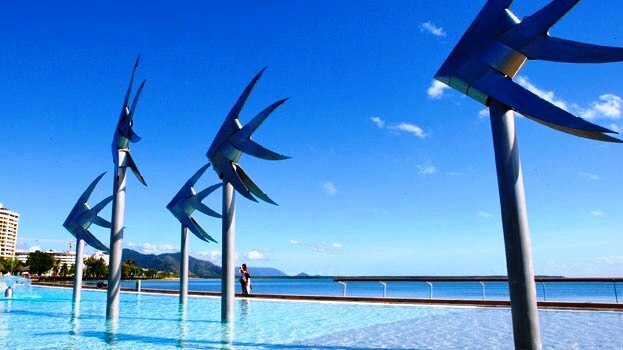 After winding through the rainforest, you’ll finish the day with a spectacular lookout over the Daintree River Estuary, Snapper Island and beyond to the Coral Sea. The tour content is grounded in Aboriginal Culture with Aboriginal guides who are experts in culture, horticulture and storytelling. 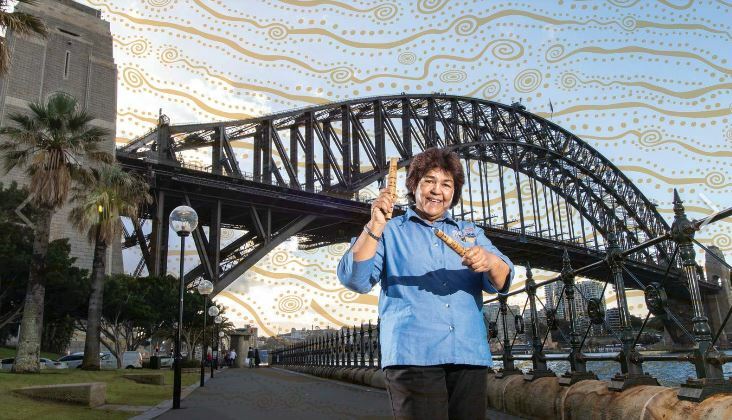 The journey will begin with a traditional OCHRE acknowledgement of Earth Mother’s EORA Cadigal heritage. 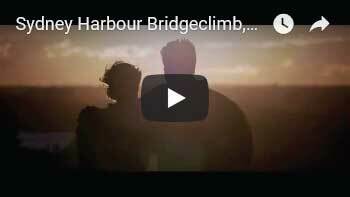 This is further showcased in an interactive leisurely ‘walking on county experience’ that will connect you to the living wisdoms inherent in Sydney’s natural waterways, skies, and landscape. 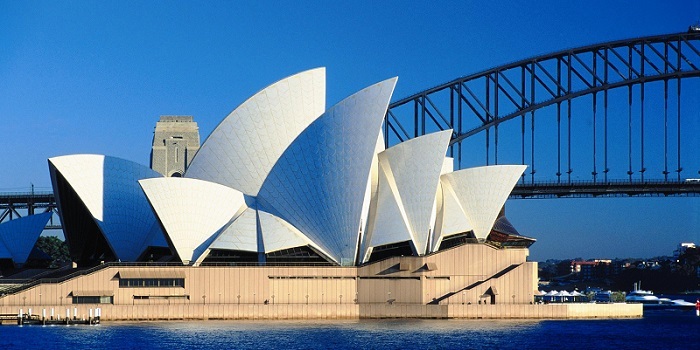 Opera is a vital part of Australia’s cultural landscape. 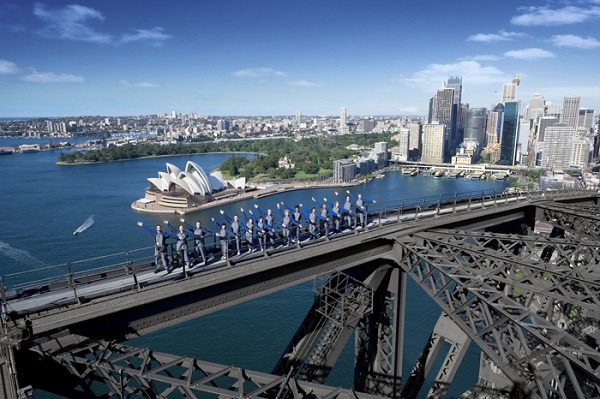 The world’s best loved operas are performed under the iconic sails of the Sydney Opera House. Performances are broadcast in cinemas, on national television and ABC radio. All prices are in US dollars and correct as of October 23, 2018. Pricing is from “per person” based on Double Occupancy (2 Adults) in hotels. Single Supplements apply. Upgrades available on request (upgrade supplements apply). No refunds allowed. Changes are permitted (fees may apply). Other restrictions may apply. Not combinable with any other offer or discounted vacation package. About Australia reserves the right to adjust the amount of any outstanding balances at any time according to USA Exchange Rate variations. All taxes, GST & Fuel Levies are included in the Price unless specified otherwise. Prices may vary when you book your travel package and are not guaranteed until payment in full is received. Airlines, hotels and tour operators frequently change their prices as a result of rate increases, fuel surcharges, government imposed taxes or fees. Prices may increase prior to full payment for those and/or other reasons. All prices, itineraries and routings are subject to change. 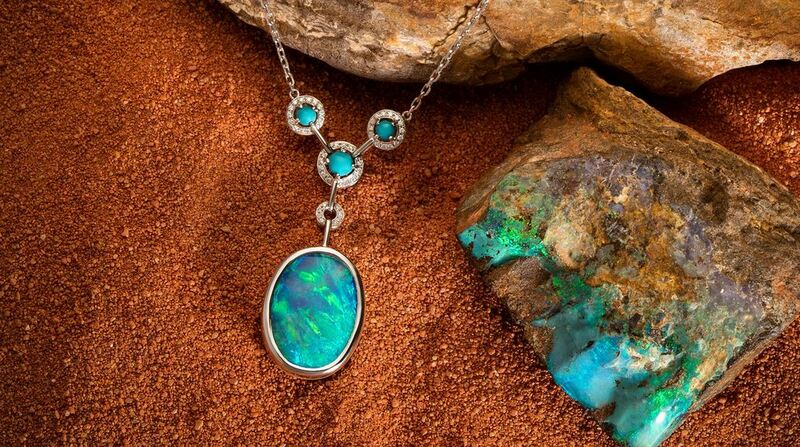 After full payment, prices are guaranteed except only due to an increase in government imposed taxes or fees. By paying your deposit, you understand and agree to the possibility of such increases. Flights, where included, will be operated by Virgin Australia, Qantas or their code-share partners; flight Taxes & Fuel levy included; Economy Flight Class of Service. Flights are based on Fares which can not be held in advance of purchase, same day ticketing will be required. Subject to availability. Blackout dates and seasonal supplements will apply; these vary by travel vendor and are subject to change. 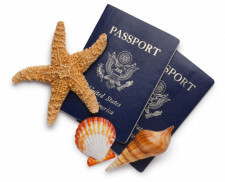 Travel may be permitted outside the dates listed, but may attract seasonality or special event surcharges. 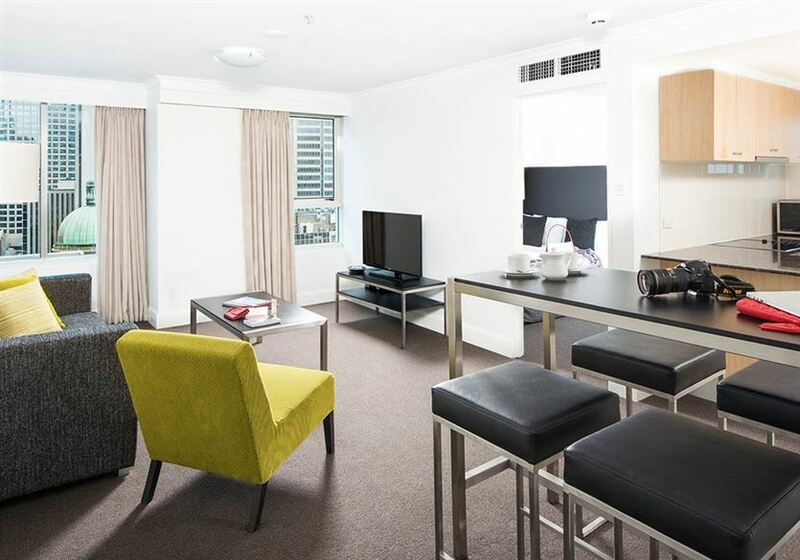 All hotels are centrally located, inspected and approved by About Australia. Spirit of Freedom Departs on Mondays and requires a $20 per person Marine Park Levy & Port fee and may require a fuel levy, should the world-wide price of fuel increase. Pricing based on a QUAD Cabin.